DevOps enthusiasts and experts will gather in Oslo for this regional conference, taking place October 29-30. 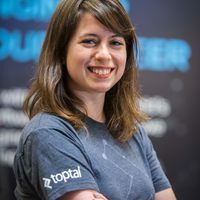 Debbie Levitt, a Toptal designer, will give a talk titled DevOps ICU: Improving DevOps Results by (Correctly) Integrating UX. If you are facing challenges with UX process in Agile, this talk is for you. DevOps is truly about so much more than how developers connect with IT, how infrastructure is managed, and how frameworks can be improved. It’s about recognizing how many teams are truly involved in the software development process and finding better ways to make sure everybody is at the table. In this session, Debbie will explain how the UX process fits into Agile, saves companies money, augments DevOps goals, and increases customer satisfaction. Join Debbie on October 30 at 10:40am.